Almost as long as I have been a consultant I have been told that the world is more uncertain, volatile and chaotic than it has ever been. Thirty years ago in 1989 I can recall Tom Peters[i] invoking, indeed goading, us to ‘thrive on chaos’ and how everything was moving at an exponential rate. Bennis and Nanus (1985)[ii] term VUCA or a world of volatilty, uncertainty, complexity and ambiguity has been dusted off and is being used to describe the world we live in. Indeed, there have been ever increasing challenges from management guru’s to face ‘wicked problems’ and to live in the ‘Age of Unreason’[iii] etc. I have no doubt that if you are reading this you will be able to recant any number of book titles or aphorisms that broadly say the same thing. The paradox for me is that if we have been saying this for at least the last 30 years, shouldn’t we just stop sensationalising it and say – ‘this is the business reality and move on’. Business leaders today know that this is the case and don’t see anything other than the need to get on in a world that has a tempo and rhythm that they have adapted to. The Hungarian scientist Hans Selye’s[iv] first used the term ‘general adaptation syndrome’ to identify three distinct stages as the body and brain adapt to stress, moving from alarm to resistance and ultimately, without adaptation, exhaustion. In the long term, if we don’t adapt we become exhausted. However, our bodies can become habituated to higher levels of stress. Arguably people working ‘in’ business have adapted but people working ‘on’ business are still in the stage of alarm and resistance? Network leadership isn’t a response to a new business reality, it’s not a consultant inspired fad but an uncovering of a way of working that has existed below the surface of organisations as they struggle to make sense of how to act. As our impatience grows and we push the world to speed up, to collapse boundaries and become more interconnected and interdependent it is imperative to know how to act. Network leadership provides an answer. David Goodhart’s (2017) book ‘The Road to Somewhere’ was the first to identify the tribal lines of the ‘anywheres’ and the ‘somewheres’. The educated ‘anywheres’ dominate the social and cultural debate and are defined by their portable career and educational achievements, whilst the ‘somewheres’ are defined by the location they are rooted in. The rise of political populism could represent the first two stages of the ‘general adaptation syndrome’ – alarm and resistance and a demand for heroic leaders to save the day. The ‘heroic’ leadership model, in which we pin our hopes and aspirations on a single omniscient and omnipotent individual to lead the way, becomes problematic when the challenges are bigger than a single brain can cope with. Network leadership is an alternative model that draws on a web of connections to get things done. My understanding of network leadership is a result of working closely with hundreds of leaders across organisations globally, working closely with them through organisational change and upheaval and observing what enables them to act and mobilise those around them. So how do I define and characterise ‘network leadership’? Network Leadership is the ability and capacity to bring together people, ideas and resources to solve problems, create opportunities and deliver for a constituency. Network Leaders recognise that they don’t know the answer but those around them do; that they don’t own all of the resources to deliver for their constituents but others within their network do; that their power comes from the ability to work across boundaries; to connect ideas with action and people with resources. They are net contributors to their network in terms of connecting, energising and mobilising others to act. In the overly simplistic characterisation of leadership styles, heroic leaders are defined by their sense of destination; the trinity of ‘vision, mission and values’ capture what they do, where we are going and how we will behave towards each other. The network leader works in a more subtle way informed by purpose and belief; open to possibility and opportunity; working without authority but being influential; prepared to shift and reconfigure in order to deliver. Network leadership is not to be confused with distributed leadership, it’s not diluting the authority of the leader across others but using singular authority to enlist others in their sense of purpose. Network leaders have a mental ‘manifesto’ that describes what they believe in, what they stand for and what they are trying to achieve. Mission, vision and values is replaced with manifesto thinking informed by a sense of restless persuasion. Network leaders at the top use their power to bring people together from across, within and between organisations. Assembling cross hierarchical groups to solve problems, re-forming them as a project unfolds; always being open to possibility and opportunity. Network Leaders within organisations have an intuitive grasp of the social system within their organisation: how decisions are made, how resources are allocated and who determines who is listened too. They are frequently the ‘go to’ people; the problem unlockers and are sought out for their advice. Network leadership challenges the orthodoxy of the conventional schools of leadership by asking leaders to think about themselves in relation to others; inside and outside their organisation, over which they may have no authority; to ensure purpose and values are of equal importance and present in all they do. 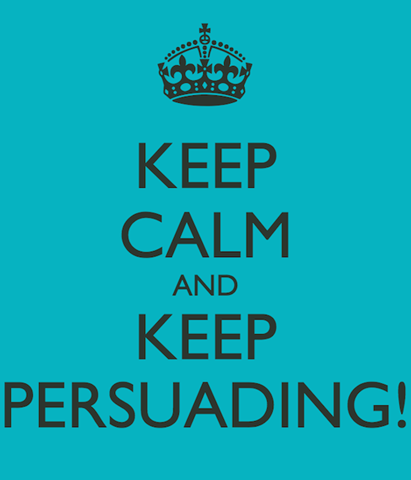 ‘Restless persuasion’ is how network leadership is executed day to day. [ii] Bennis, Warren; Nanus, Burt (1985). Leaders: Strategies for Taking Charge.